Botany is the science of plant life. 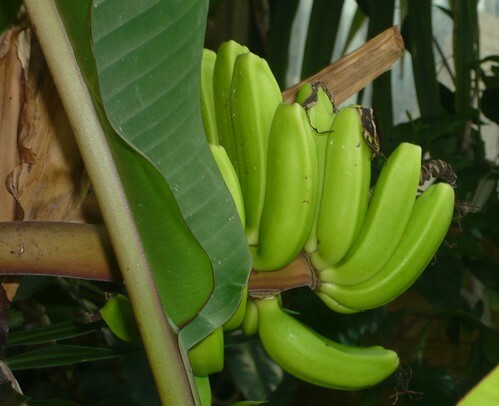 In other descriptions it is the study of plant science or plant biology. 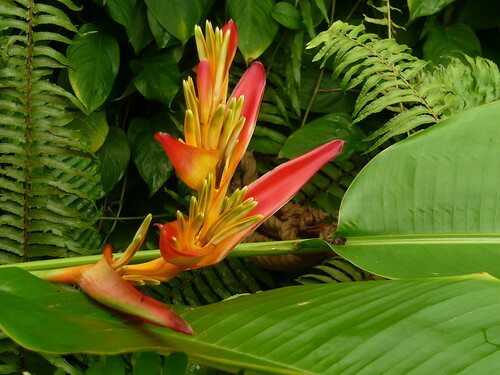 A botanist is one who studies botany. A botanic is a drug or medicinal preparation obtained from a plant or plants. 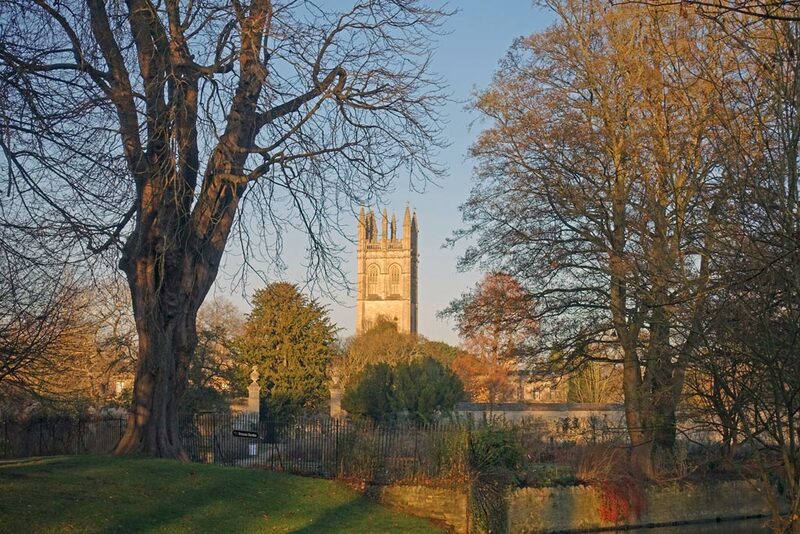 Oxford Botanic Gardens and Magdalen College Tower. The original Cambridge University Botanic Garden (CUBG) was founded in 1762 with the larger site opening in 1846. 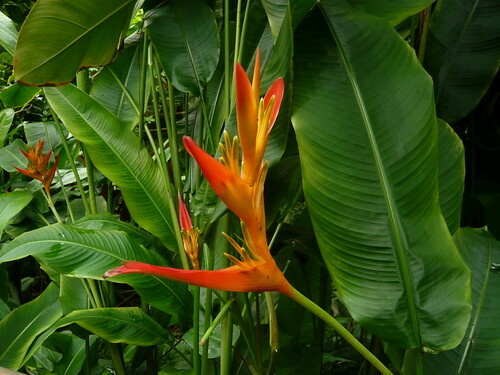 It provides inspiration for botanists, gardeners and the public with an array of 8000 plant species. 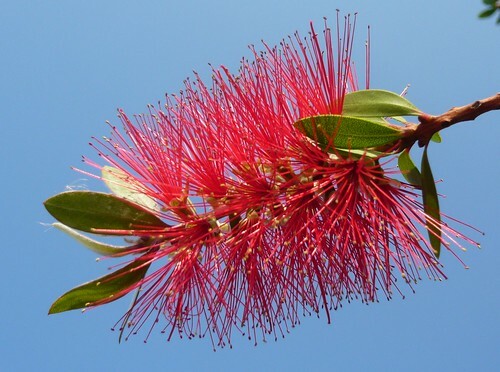 As a university garden it has a resources for research and teaching based on a collection of living plants labelled with their botanical names. CUBG is one of 1600 heritage-listed gardens which are based on ‘designed’ landscapes, rather than on planting or botanical importance. Sheffield Botanic Garden has been restored with different garden areas with plants from all over the world, this 19-acre Gardenesque-style botanical garden is a diverse one to visit. As with other good botanic gardens it holds National Plant Collections in Sheffields case Weigela, Diervilla and Sarcococca. 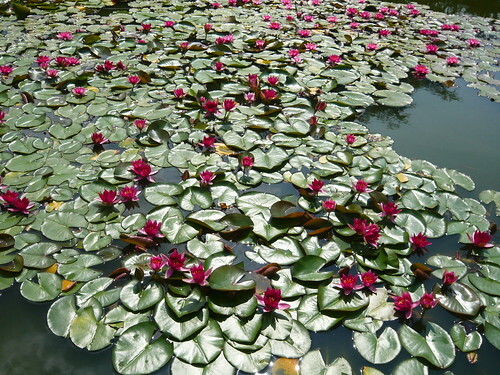 Other large cities have notable botanic gardens including Sidney, New York, Kirstenbosch, Padova, Munchen and Montreal. Botanic label and specimen containing the family name Myrsinaceae, or the myrsine family and origin S W Turkey. The species name Cyclamen Cilcium, the forma as two cultivars have been named but there are many similar wild forms. The number is the accession number 4 digits show the year the plant was first acquired then last four numbers are sequential numbers. Myrsinaceae is a rather large family from the order Ericales, that includes Cyclamen among 30+ genera. In Giggle Alley there are winding pathways, stone steps, rockeries and pools of water. The Japanese style bridge over a gurgling stream is pictured below. The planting includes excellent Maples and colourful leaf combinations. Azaleas waft scent around the glades and provide further colour and a sense of harmony. A venerable old Magnolia looks half dead but is flowering at the top of several 20′ high branches. 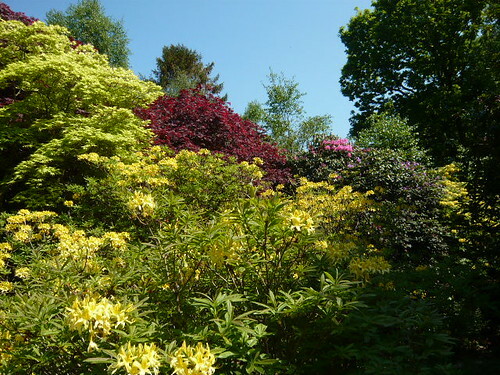 Designed in 1914 and left to become overgrown since 1949, the garden at Eskdale is currently being renovated. 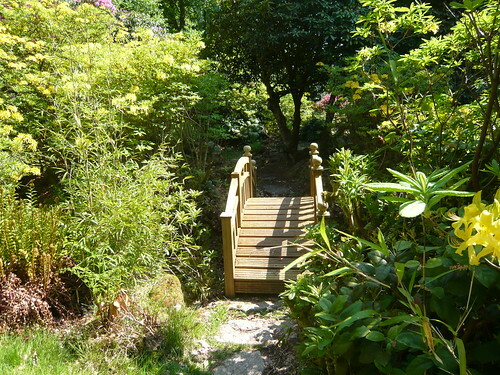 The Forestry Commission created a Design Plan for the Japanese garden 2006-2011 see it on this pdf. You can contribute ideas and comments to the next plan and phase of renovation. This Japanese Garden, in Giggle Alley forest, was the jewel in architect James Rea’s horticultural crown. There are thickets of bamboo, a stunning display of Japanese maples and the heady scent of azaleas in the spring. The whole forest is open to the public. 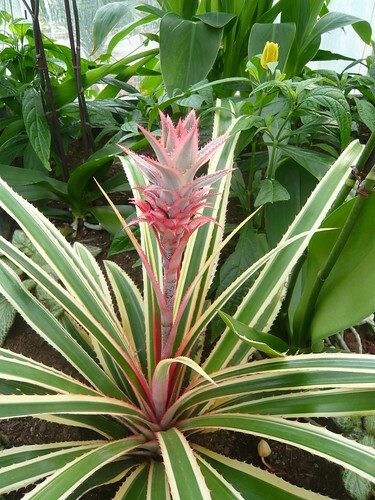 Try a bromide ‘oops’ I mean a Bromeliad. 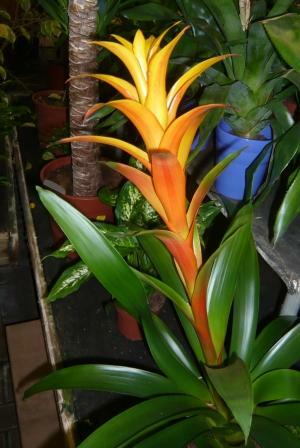 Grow the Bromeliads for their coloured leaves that spring from the plants center. 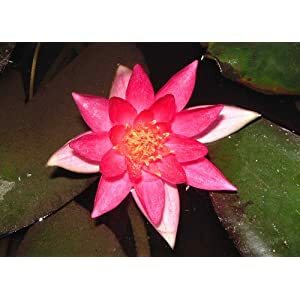 If flowers are wanted try a dose of epsom salts or magnesium sulphate as this promotes healthy growth, cell structure and the production of chlorophyll. 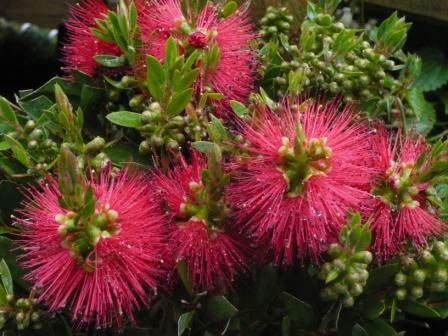 As the inflorescence or coloured spike starts to go brown cut it down to encourage off sets called ‘pups’ and get a new generation of plants. 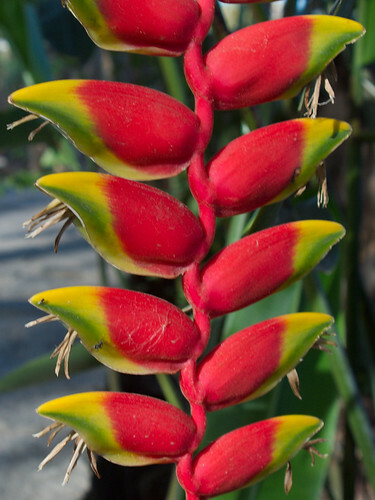 It can be good fun growing from seed as different Bromeliads pollinate one another and you can’t be sure what you will get. 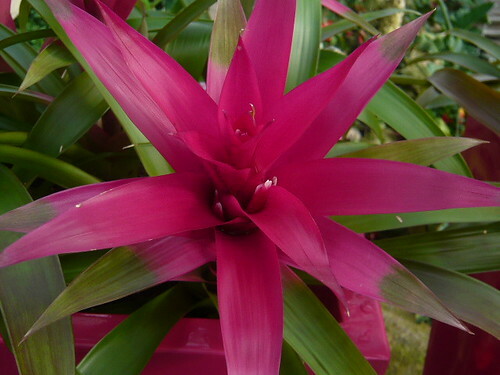 For water holding Bromeliads keep the center topped up with soft water. 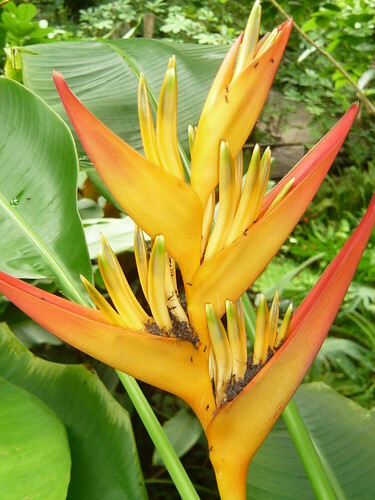 I was convinced my latest photos were of Strelitzia or Bird of Paradise flowers – that was until the horticulturalists at Kew Gardens made me rethink. 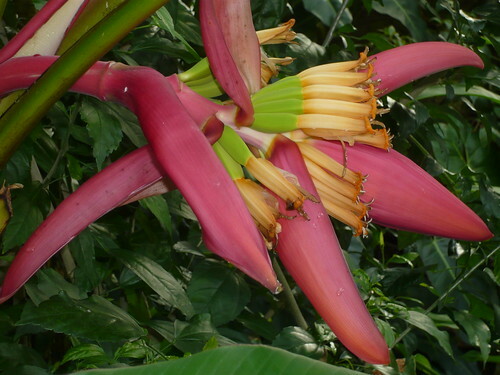 I had never come across the Parrot flower until I saw the Kew photo below and now I realise how ornithologically challenged I am. I love going to the Palm house at Kew where this photo was taken by their staff. The variety of plant life hints at what you could discover in better weather conditions than we experience in the UK. 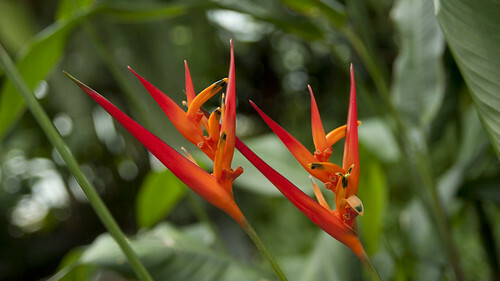 These Cornish flowers were also under glass in the tropical dome at the Eden project. 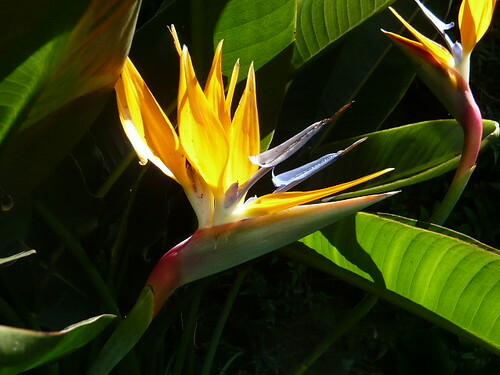 Checking my old holiday photos I found this Strelitzia which threw my identification skills into question. These leaves look like banana leaves but the flowers fall short of Paradise. Insects are having a good lunch on this flower photo. When you start looking there are Parrots everywhere! 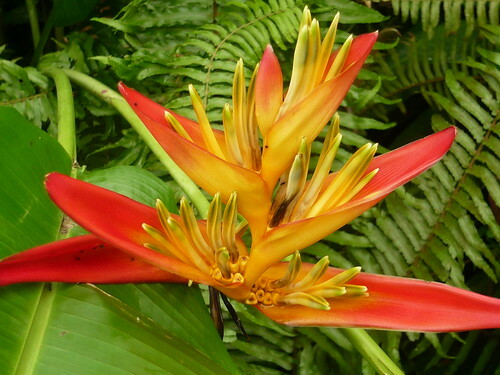 There are over 100 species of Heliconia found in rainforests or tropical wet forests where they are sometimes referred too as False Bird of Paradise flowers. 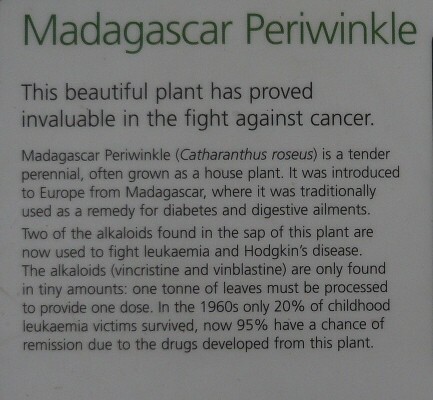 If you want an informative label on your plant you can do a lot worse than go to Kew gardens. This fulsome label informs and educates the visitor about the periwinkle or dogbane that is currently in flower. Catheransus roseus or Madagascar Periwinkle’s alkaloids have contributed to 70 different drug formulations from this one plant species. Below is the more normal horticultural label for the same plant. The family name is top right – Apocynaceae or dogbane is a family of flowering plants that includes trees, shrubs, herbs, and lianas. 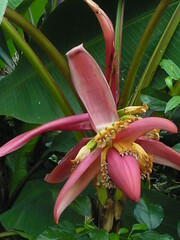 often found in tropical rainforests, and most are from the tropics and subtropics. Some are perennial herbs from temperate zones and many have milky sap that make them poisonous if ingested. 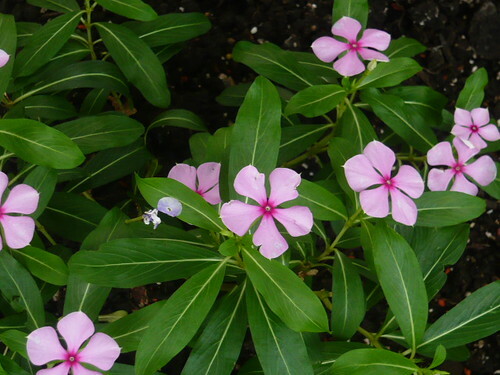 Vinca major and minor are part of this family.